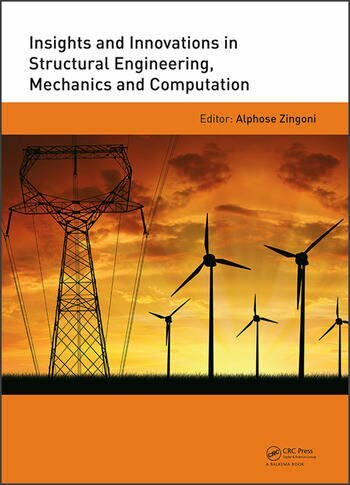 D. Camotim, C. Basaglia, N. Silvestre & L. Palermo Jr.
Alphose Zingoni is Professor of Structural Engineering and Mechanics in the Department of Civil Engineering at the University of Cape Town, South Africa. He holds a PhD from Imperial College London, and was a recipient of a fellowship of the Royal Commission for the Exhibition of 1851 from 1992 to 1994. He has held appointment as Dean of the Faculty of Engineering at the University of Zimbabwe from 1996 to 1999, and as Head of the Department of Civil Engineering at the University of Cape Town from 2008 to 2012. His research interests span shell structures, vibration analysis, studies of symmetry in structural mechanics, and group-theoretic formulations. He has written many articles and three books in these areas, and serves on the editorial boards of several international journals. He has been chair and editor of the SEMC (Structural Engineering, Mechanics and Computation) series of conferences since its inauguration in 2001. He is a Fellow of the Institution of Structural Engineers, the International Association of Bridge and Structural Engineering, and the South African Academy of Engineering.